Have you ever stumbled upon phrases like Snapchat hacking or hacking Snapchat? Clearly, if you're accustomed to using this much popular social media app then you must be familiar of the ways that are used to hack it. In this post, we will be learning how to hack someone's Snapchat using a monitoring tool. Snapchat, as you already know, is one of the leading and sought-after social media apps in the current times. It's 'stories' sharing feature grasped everybody's attention as soon as the app was launched for the public. Just like every other software or app gets way too much attention by the people, Snapchat was grappled with the same amount of fame, urging users to take a notice of it. 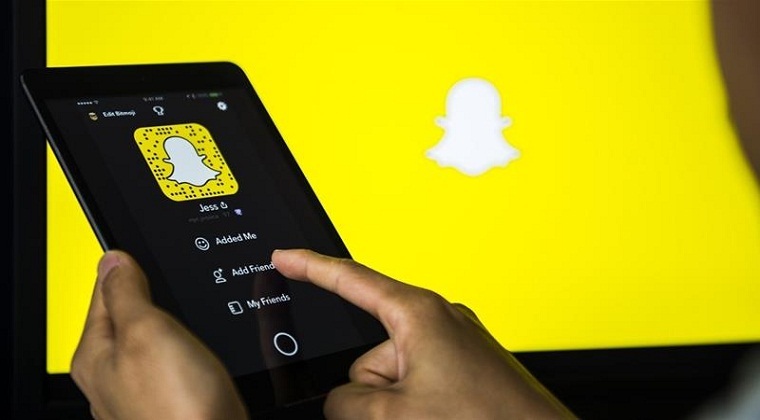 With Snapchat's looming popularity, sharp-minded hackers began developing hack tools that could allow them to sneak into someone's Snapchat ID. This led them to create Snapchat hack websites and Snapchat hack tools on the internet that claimed to hack someone's Snapchat effectively. While hackers may have been successful in developing Snapchat hack tools with an intent to gain visits to their websites, from the user's perspective, these websites turned out to be completely bogus. Before producing any result, these websites ask you to fill out online surveys or download certain links as means of human verification. All the Snapchat hack tools online touting as 'Snapchat hack no survey' and 'Snapchat hack no human verification' turned out to be inauthentic, meaning they do not deliver as they claim. We would suggest staying away from them. Instead of relying on such hack tools and wasting your time on them, it's better to seek help from credible hack tools such as a monitoring tool if you wish to sneak into someone's Snapchat account without them knowing. We highly recommend using Mobistealth, an advanced monitoring solution for your computers and cell phones, for this purpose. Here's our step-by-step guide that lets you find out how to hack someone's Snapchat. The first step requires you to register an account for Mobistealth on their official website. Secondly, download and install the Mobistealth monitoring solution on your target's device, be it a computer or a cell phone. Once Mobistealth is successfully installed on your target's device, you can head over your online account and view all the Snapchat activity on their device from anywhere at any time. And that's it! The process to hack someone's Snapchat account using a monitoring tool like Mobistealth is really easy and can be done quickly without facing any complications.